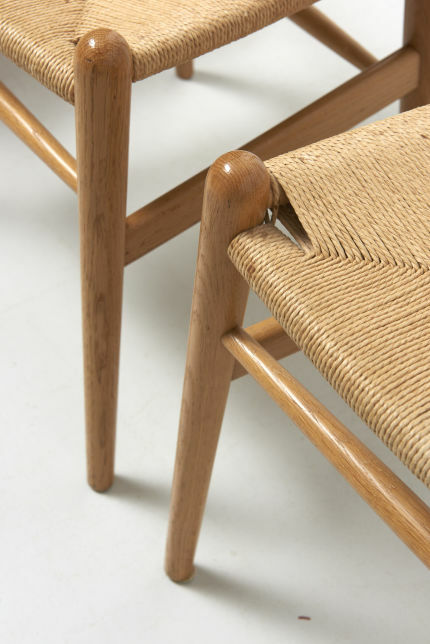 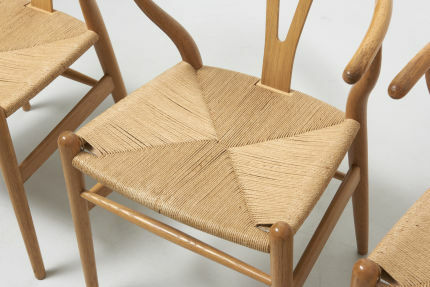 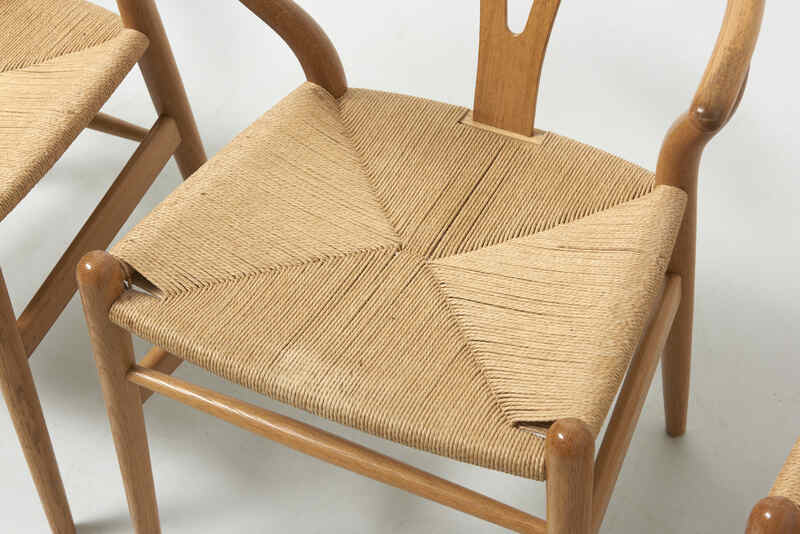 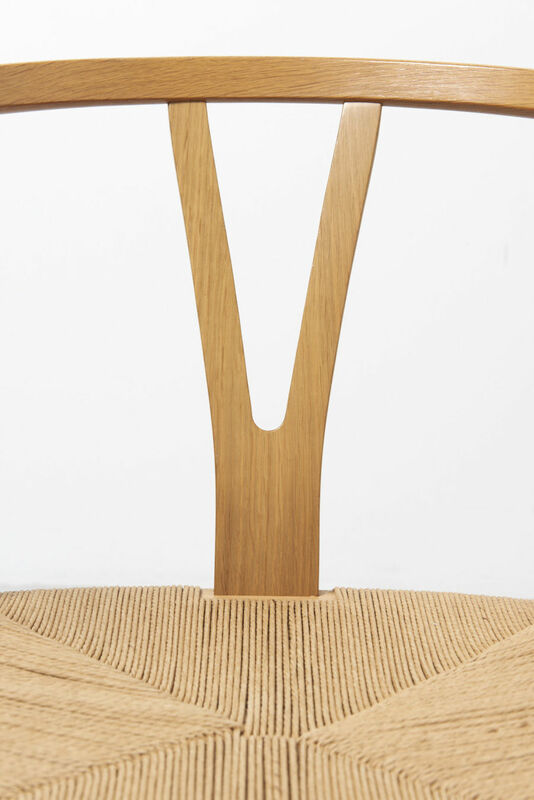 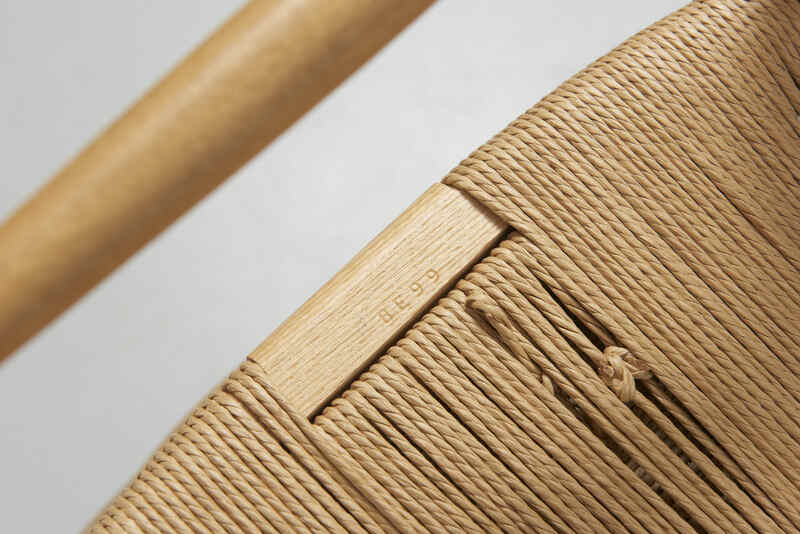 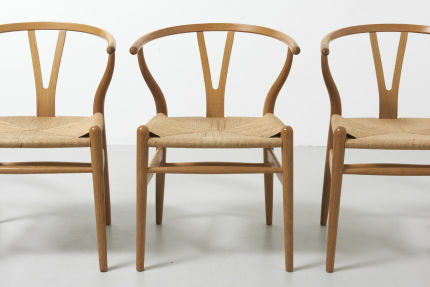 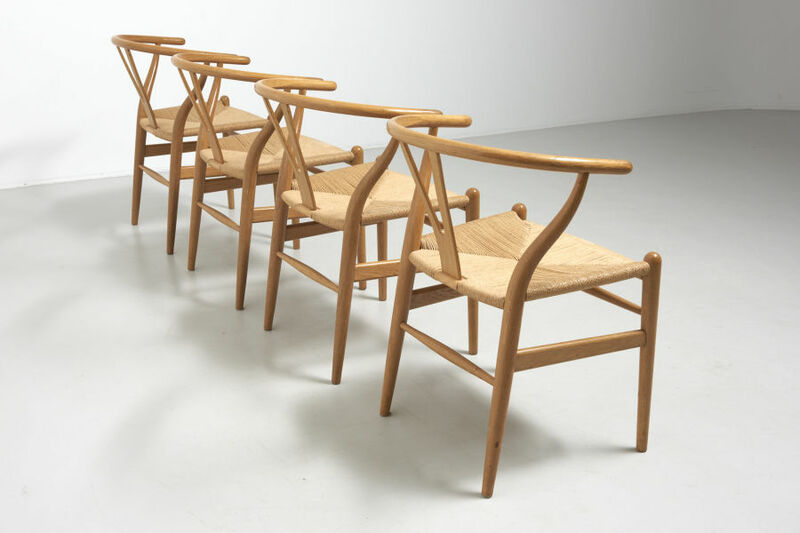 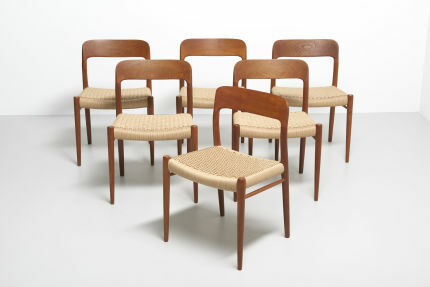 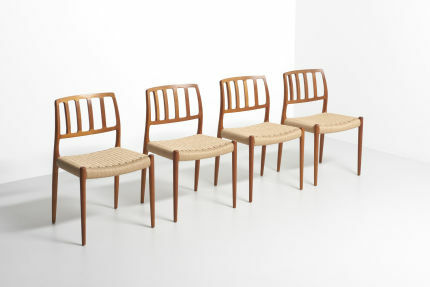 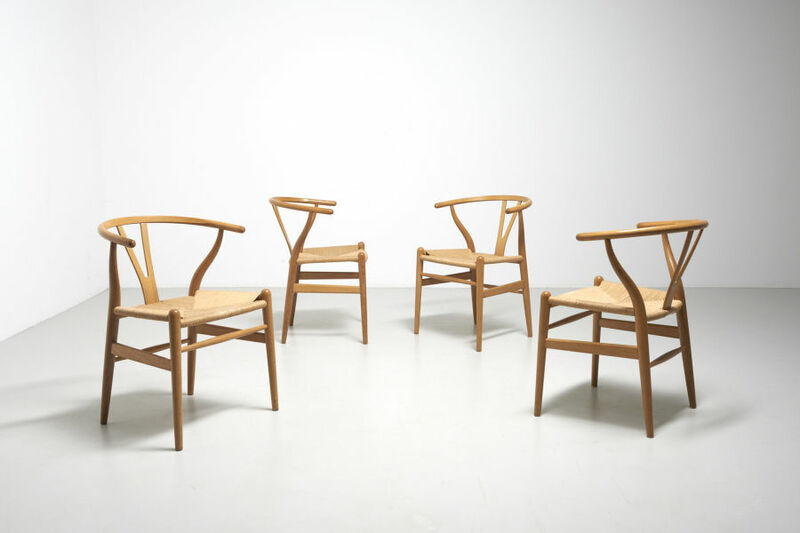 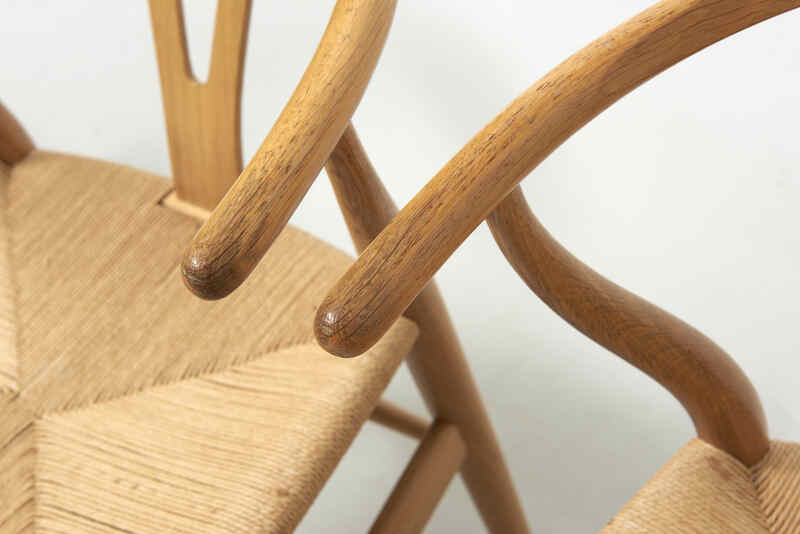 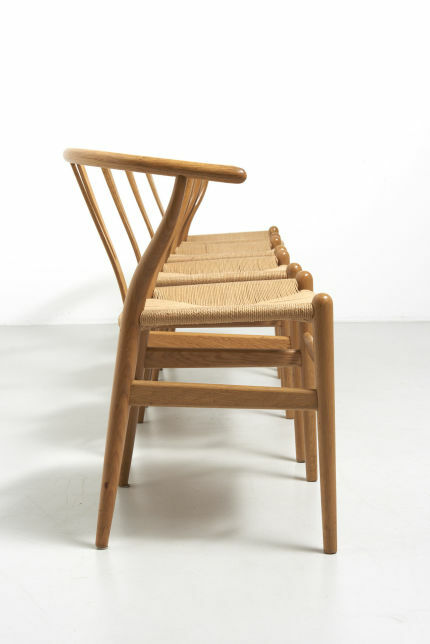 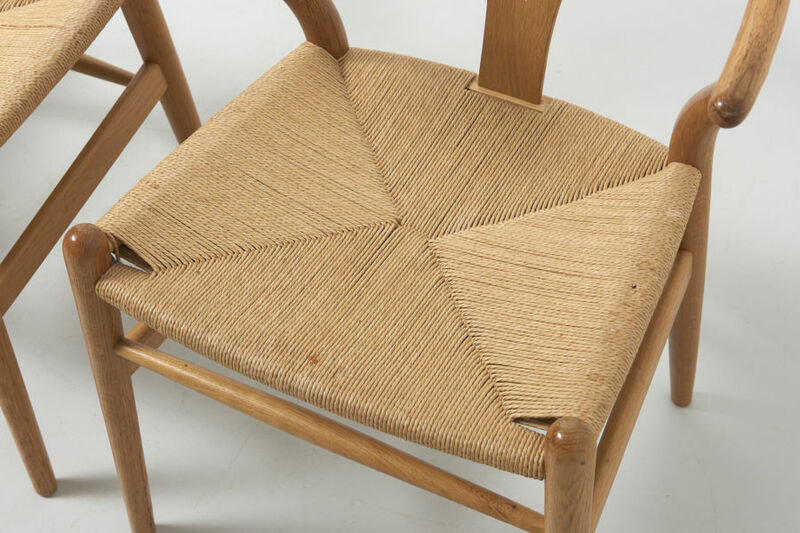 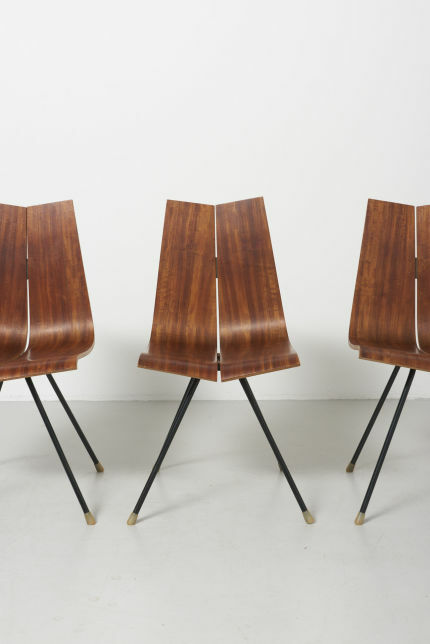 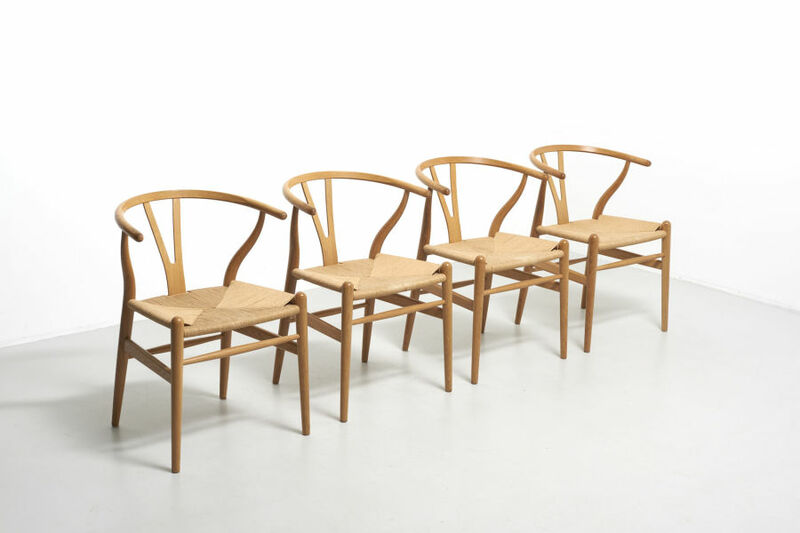 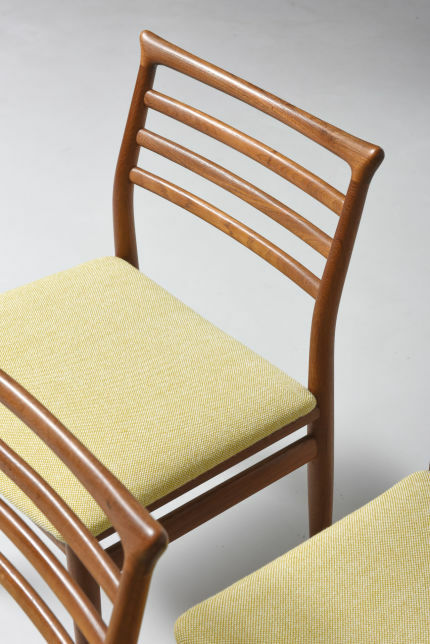 A set of 4 dining chairs in lacquered oak with paper cord seats, known as the Wishbone chair. 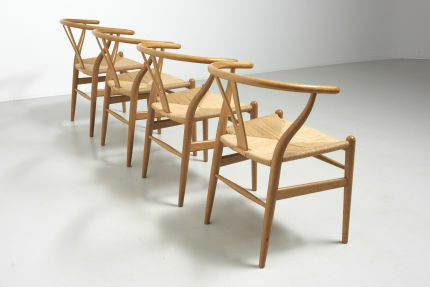 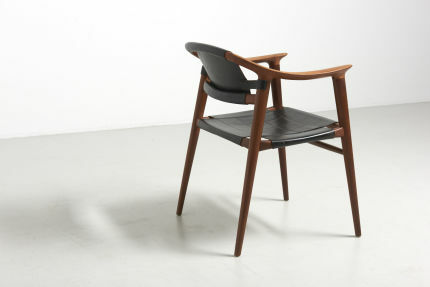 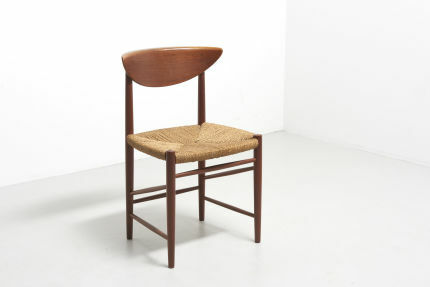 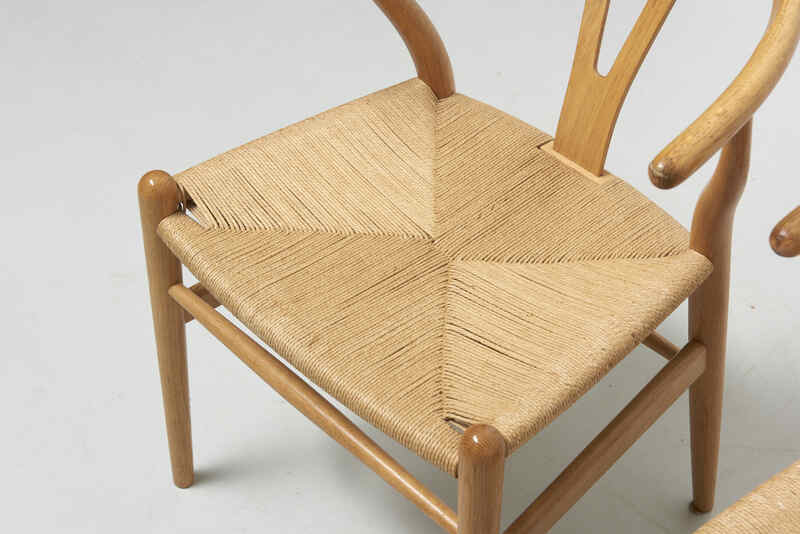 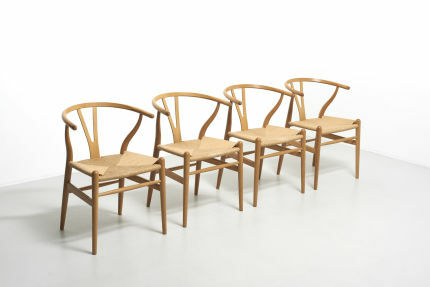 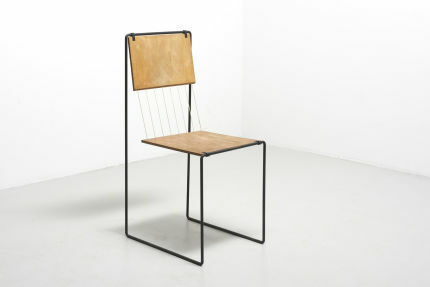 Design by Hans J. Wegner in 1950. Model CH24, made by Carl Hansen in Denmark in 1999.